Updates on the CRA Board of Directors. CRA members have elected five new members to its board of directors: James Allan, Maria Ebling, Ayanna Howard, Ran Libeskind-Hadas, and Rachel Pottinger. 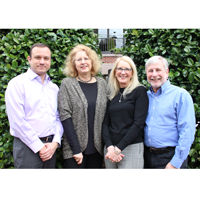 Current board members Michael Franklin, Stephanie Forrest, Kathryn McKinley, Greg Morrisett, and Vivek Sarkar were re-elected to the CRA board. There have also been changes to the appointed members to the board, who are not elected. 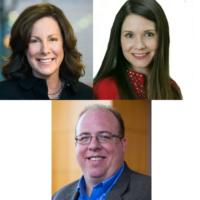 Charles Isbell has been appointed the new AAAI representative, replacing Lise Getoor, and Kate Larson has been appointed the Info-CAN/CS-CAN representative, replacing Mario Nacimento. 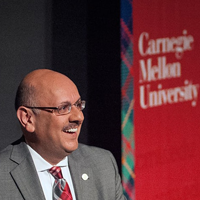 Beginning July 1, Mark Hill will replace Elizabeth Mynatt as the CCC Chair and representative on the board. CRA would like to thank all retiring board members for contributions during their service on the board. Ballots have been distributed to all CRA department chairs and lab directors. Each will have one vote for each open slot on the board. Completed ballots are due February 28. Click here for the slate of nominees. CRA is pleased to announce the 2018 Election Committee’s slate of nominees for the CRA Board. CRA also encourages nominations by petition. 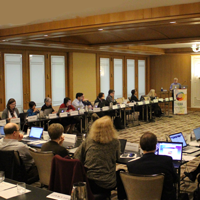 The Computing Research Association seeks your help in suggesting nominations for its board of directors. We want individuals who have the time, energy and initiative to work on CRA issues on behalf of the entire CRA community. We have a working board, and all members are expected to be involved with community issues. CRA members have elected two new members to its board of directors: Carla Brodley and Kim Hazelwood. Current board members Nancy Amato, Susan Davidson, Dan Grossman, Brent Hailpern, Susanne Hambrusch, Barbara Ryder and Ellen Zegura were re-elected to the CRA board. Also beginning July 1, Brian Noble will be the USENIX representative to the CRA board replacing Margo Seltzer. Retiring from the board as of June 30, 2017 are David Culler, Mary Czerwinski and Seltzer. CRA thanks them all for contributions during their service on the board. At the CRA board meeting on February 28, the CRA board of directors voted to re-elect its current board officers to serve new two-year terms beginning July 1, 2017. The board officers include: Susan Davidson (chair), Susanne Hambrusch (vice chair), Ron Brachman (treasurer), and Greg Morrisett (secretary). CRA is pleased to announce the 2017 Election Committee’s slate of nominees for the CRA Board. CRA also encourages nominations by petition. 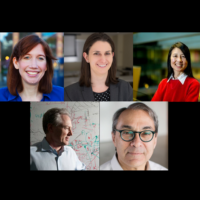 The Computing Research Association seeks your help in suggesting nominations for its board of directors. We want individuals who have the time, energy, initiative, and resources to work on CRA issues on behalf of the entire CRA community. We have a working board, and all members are expected to work on community issues. The deadline for receipt of nominations is December 2. 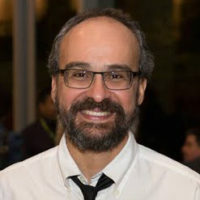 Mario A. Nascimento is a full professor at the University of Alberta’s Department of Computing Science and since July 2014 serves as chair of the Department. Before joining the University of Alberta in 1999, he was a researcher with the Brazilian Agency for Agricultural Research and also an adjunct faculty member with the Institute of Computing of the University of Campinas. Mario has also been a visiting professor at the National University of Singapore’s School of Computing (Fall 2005), Aalborg University’s Department of Computer Science (Winter 2006), LMU Munich (Fall 2013-Winter 2014) and at the Federal University of Ceara in Brazil (2013 and 2014). In 2007 he was recognized as a Senior Member of the ACM.